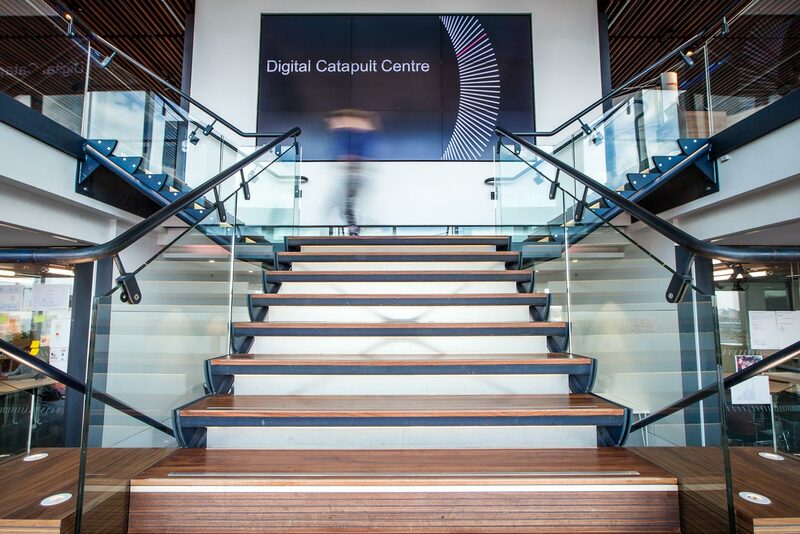 The Digital Catapult head office situated on London’s Euston Road, is their flagship centre helping UK businesses unlock new value from sharing proprietary data in faster, better and more trusted ways. 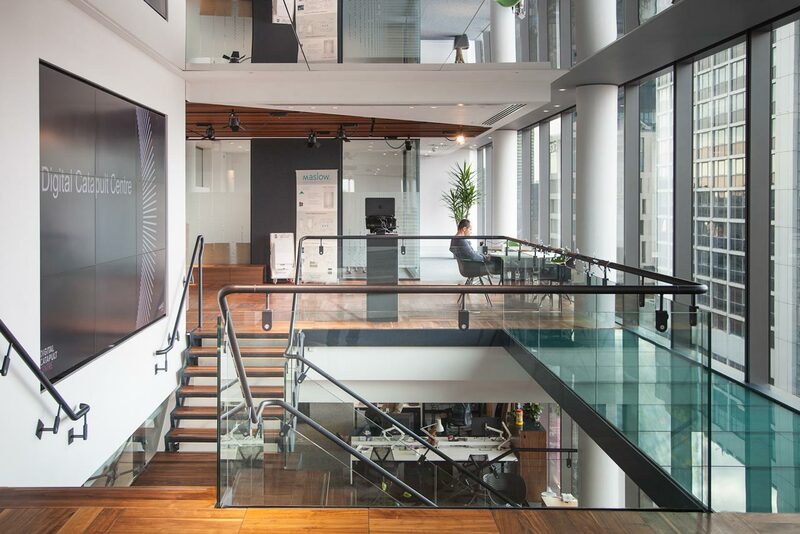 The staircase is a central feature to the office, offering city skyline views of London within an open plan workspace. 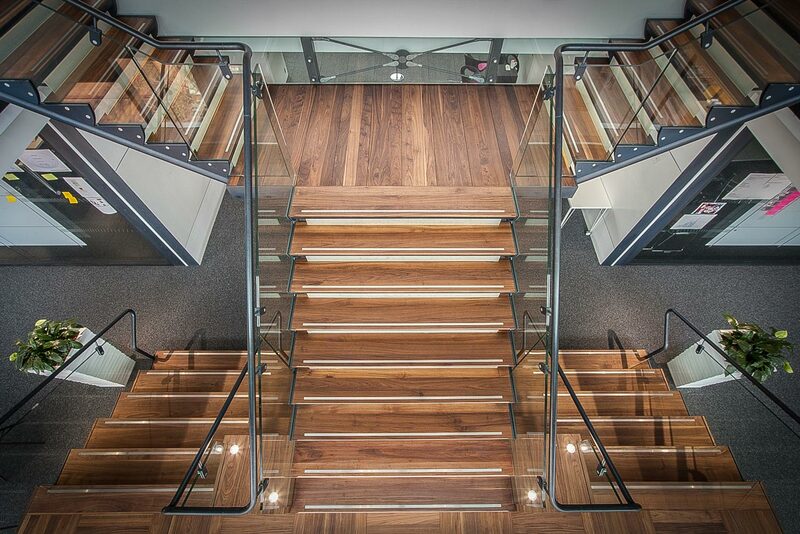 Littlehampton Welding designed the feature staircase to services two levels. It has a very slender design incorporating a steel structure and handrails, glass balustrade and risers and American black walnut timber treads. 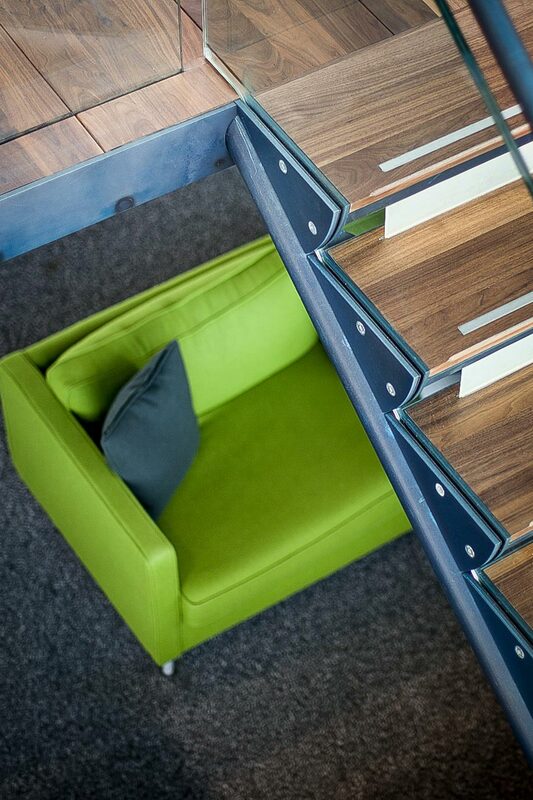 It also was designed to include the clients library and reading area underneath the stair. 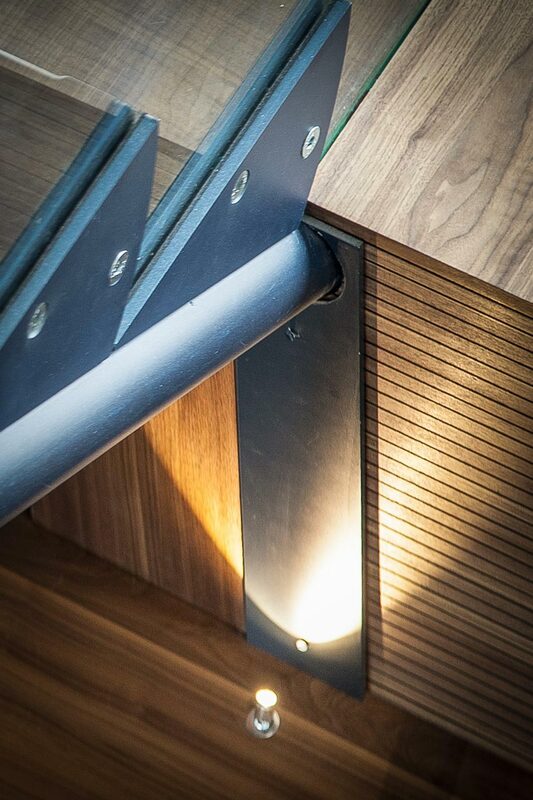 Each flight has cross bracing to the underside of the stair to give an industrial feel. 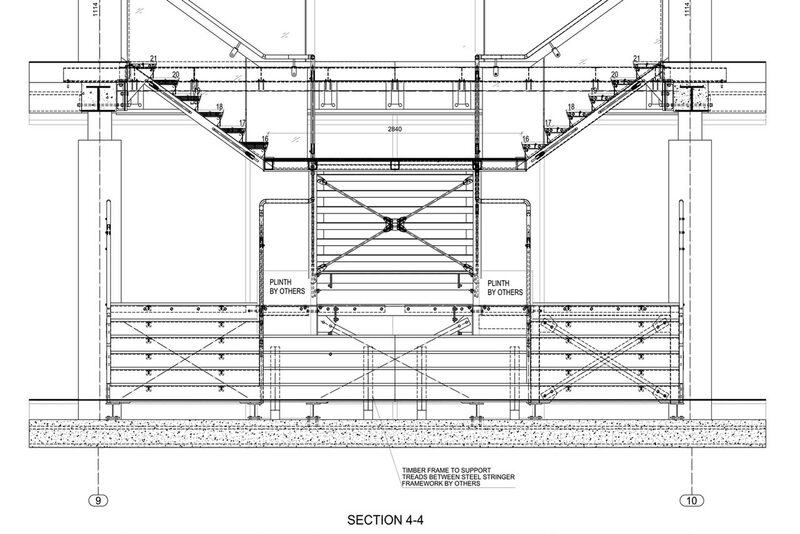 There is a glass bridge walkway servicing the edge of the atrium. All steel parts have a ‘blued’ steel finish.